With its spectacular takeovers and changes of ownership the QUNDIS story is as unique as the company's products. In its previous incarnations the company has been part of a major corporation, and it has also stood entirely on its own. As a result there are a number of myths surrounding the actual time at which QUNDIS originated, and the following chronicle will try to shed some light on the darkness. The contrast couldn't be greater! 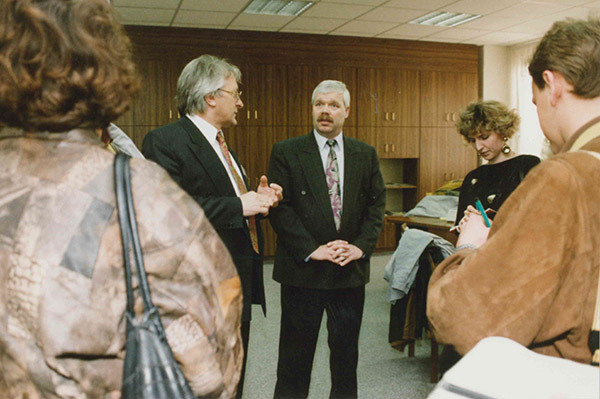 The history of QUNDIS goes back to a Black Forest manufacturer of clocks and a state-owned GDR enterprise. Did people know in the 1950s what a heat cost allocated does? At all events the clockmakers at KUNDO in St. Georgen knew the meaning of innovation: they invented the world's first quartz-operated, battery-powered digital clock and the first radio clock with analogue time display. Because they operated in a planned economy the more than 2000 employees at the firm of Wilhelm Pieck in Mühlhäusen were in their day less in a position to produce global technical innovations, but when it came to improvisation they were unbeatable. 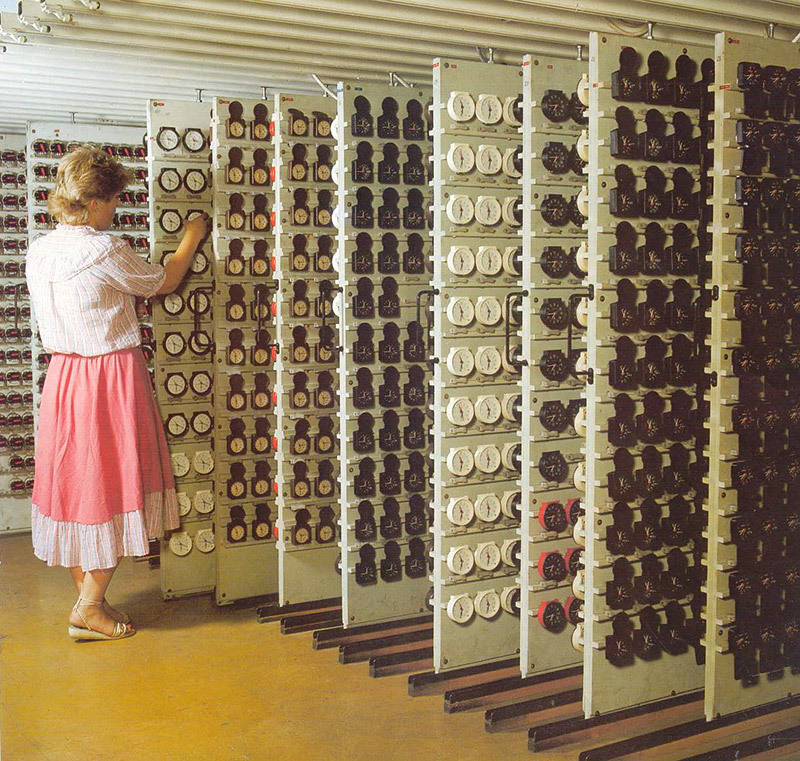 Among other devices they produced pocket calculators and mini computers for the Eastern Bloc countries. After reunification the VEB is split by the Treuhandanstalt privatisation agency into three companies, one of which is SaMeCo elektronic GmbH. With the fall of the Iron Curtain, the consumption-related billing of utility costs also came into force in Germany's new federal states. 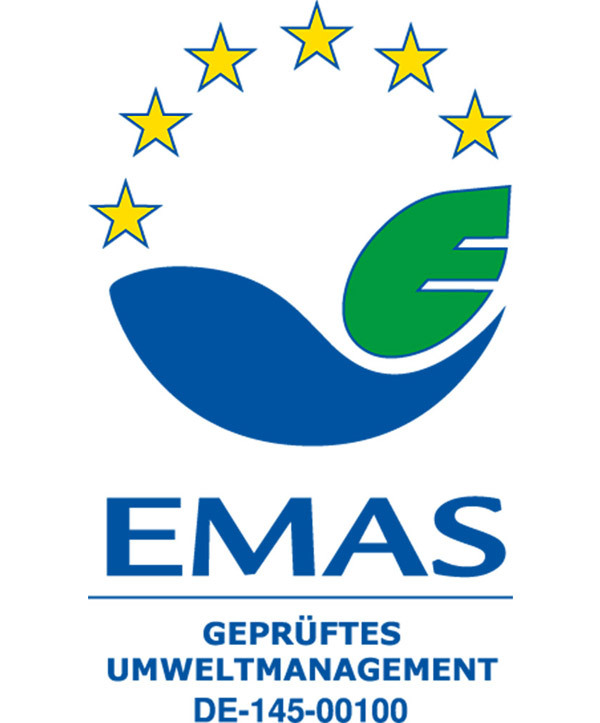 At the same time increased environmental awareness stimulated the markets for energy saving solutions throughout Europe. 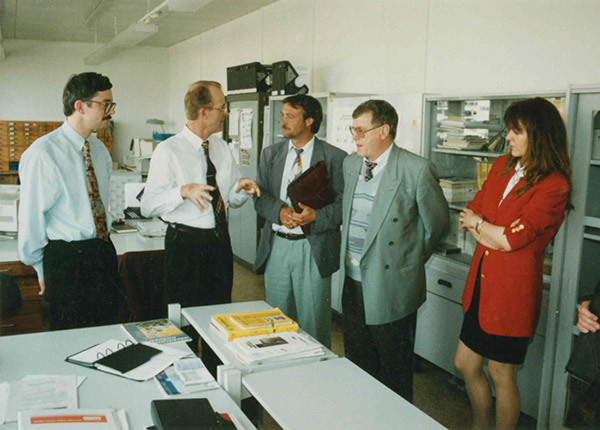 This was a unique opportunity for the owners of the QUNDIS predecessor companies, which responded by founding new companies – in 1990 SaMeCo electronic GmbH was created, followed in 1992 by KUNDO SystemTechnik GmbH. 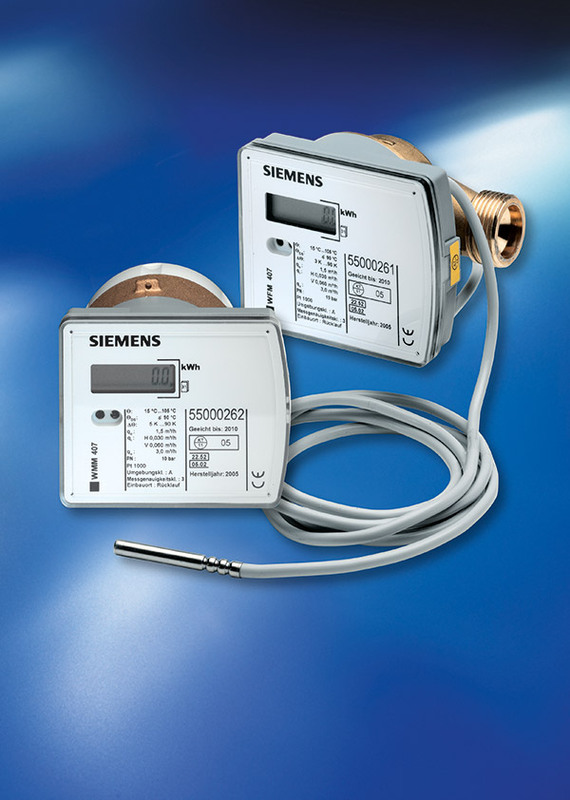 The two producers of metering equipment would soon be in direct competition with each other. 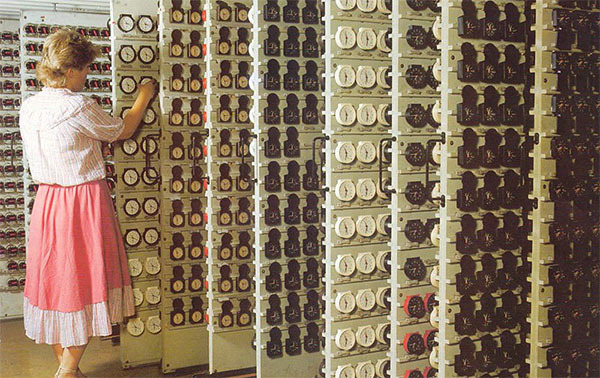 In its first year the company, which was established as a joint-venture between West Berlin's SaMeCo and VEB Mikroelektronik Wilhelm Pieck Mühlhausen, employed a workforce of 67. Only one year later the predecessor of QUNDIS in the east - true to its principle of overtaking the competition - produced the 'deltatron'. 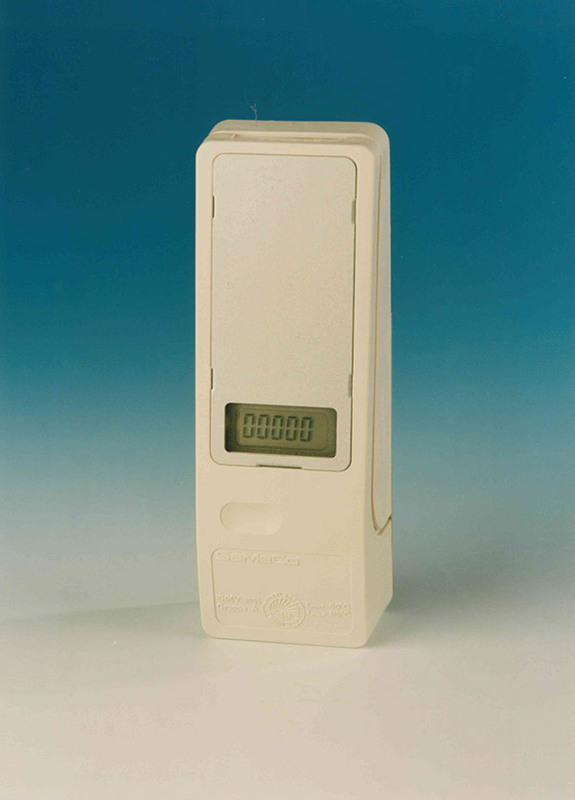 This was the first electronic water meter which recorded temperature in addition to the volume consumed - a highly advanced feature which highlighted the motivation of our colleagues in the eastern federal states to match what was being achieved in the West. 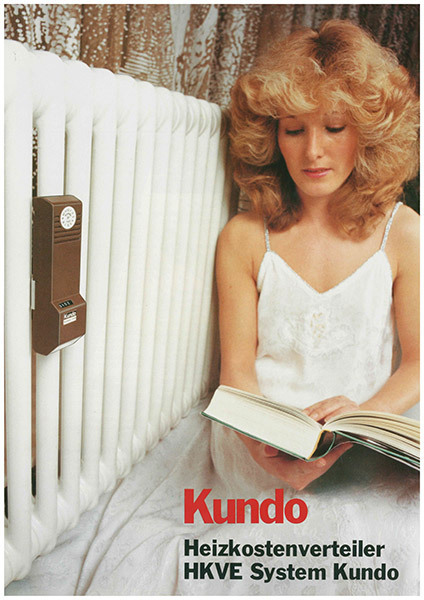 The family firm of KUNDO – Kieninger & Obergfell entered heat metering technology as long ago as the early 80s. What initiated this extension of the company's business operations was the introduction of the heating cost directive, which made the building of heating and water heating costs mandatory. 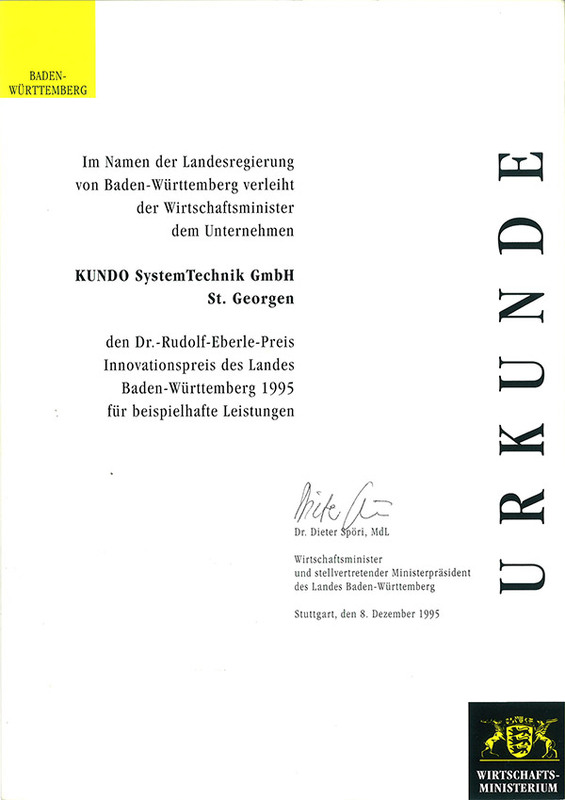 With the establishment of its KUNDO SystemTechnik GmbH subsidiary, KUNDO grouped together its expertise in this field because – in line with company traditions – the aim was to play a pioneering role in this field, too. The 'Volutron', the world's smallest electronic heat meter, receives official approval. On the occasion of the ISH trade fair the SaMeCo group and Landis & Gyr Bulding Control announce their cooperation. So the next question is, how did we decide on 1991 as the year in which QUNDIS was founded? After all, we can't celebrate our 25th anniversary in two different years, one after the other. 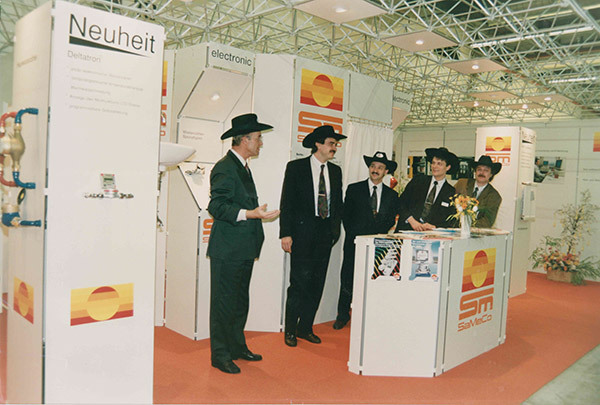 As is logical for technology specialists, we decided on a mathematical solution – taking the average of the years in which our predecessor companies KUNDO SystemTechnik and SaMeCo elektronic were established – the year 1991. The following years were a time of intense activity: thanks to its integration into worldwide sales structures SaMeCo electronic GmbH was able to build up a customer base in Holland, France, Italy, Sweden and Denmark, too. 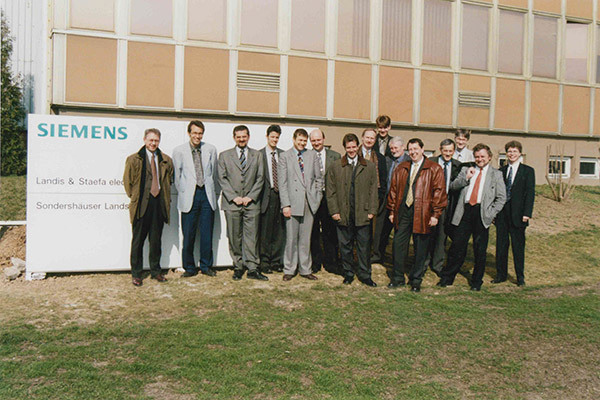 In 1998 the company became part of the Siemens Group, while KUNDO SystemTechnik continued to expand its pioneering position in radio technology. The important foundations were created for the data transmission on which every AMR installation to the present day is based. In spite of its international successes, the Mühlhäusen firm of SaMeCo had to struggle with prejudices against its East German origins. Many German housing companies didn't trust products from the former GDR, even though their quality was excellent, which sooner or later even the most sceptical critics were no longer able to deny. The Mühlhäusen firm gradually and successfully established a good reputation throughout Germany and beyond. 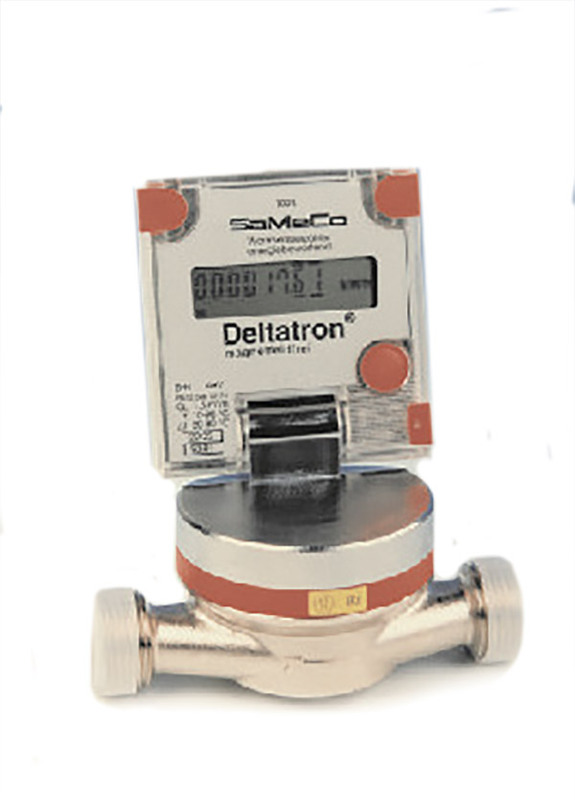 On 31 May 1994 the Mühlhausen company receives the innovation prize of the Mühlhausen district for its 'deltatron' warm water meter. The product developers begin to think about solutions for the automatic controls of washing machines. SaMeCo introduces the ERP system SAP R/3, making it one of the very first companies to apply this worldwide successful software programme. 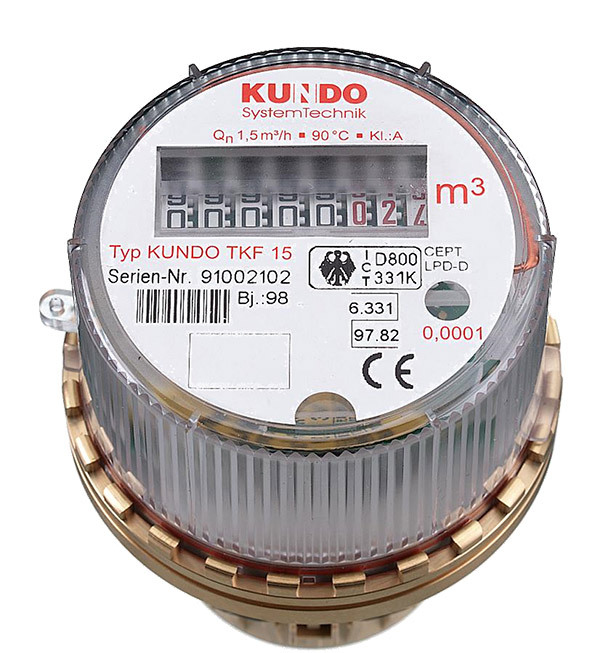 KUNDO receives its first DIN ISO 9001 certification. The RCU central unit for radio-based consumption data recording receives the innovation prize of the state of Baden-Württemberg. Elektrowatt acquires Landis & Gyr, and merges L&G Building Control with Staefa Control System to form Landis & Staefa. 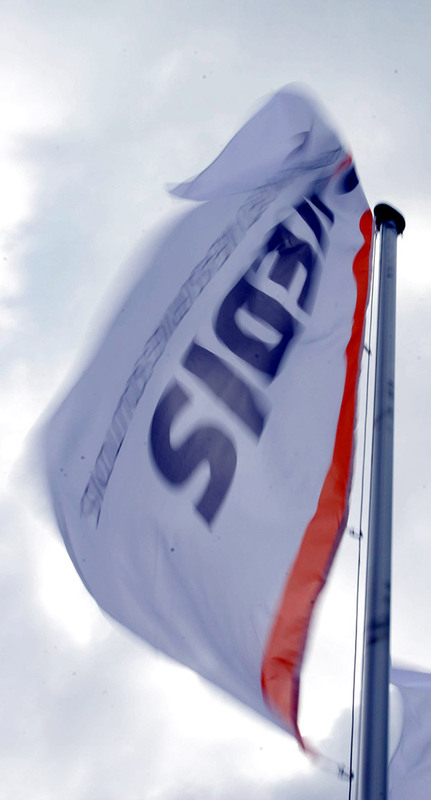 The Mühlhäusen company of SaMeCo is renamed Landis & Staefa electronic GmbH. Production of the second radio device generation with RAM card interface, and of the first water meter with integrated radio transmitter. The KUNDO radio system receives the Dr. Rudolf Eberle Prize for Innovation. Landis & Staefa is acquired by Siemens. 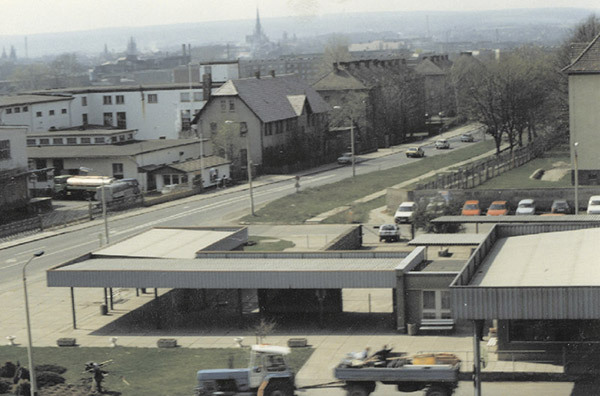 The Mühlhäusen plant is renamed 'Landis & Staefa electronic GmbH – a Siemens Company', and has a workforce of around 70. 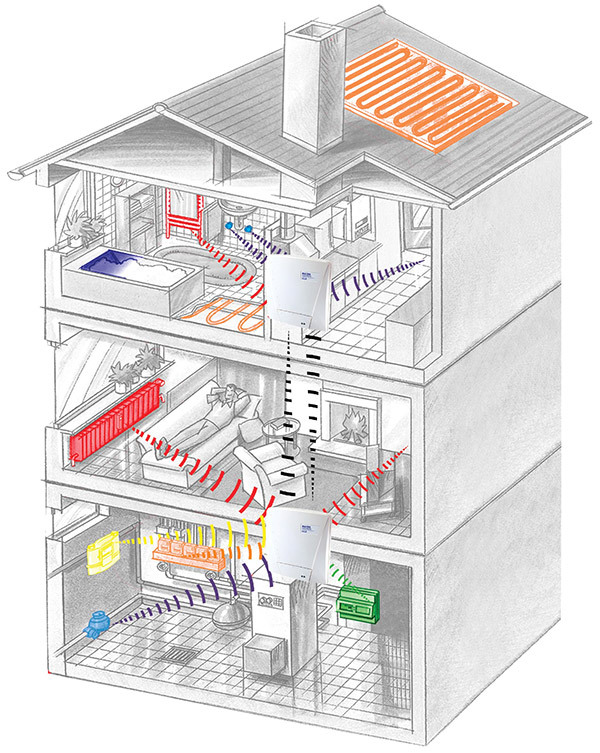 In cooperation with Honeywell, KUNDO for the first time provides a radio-based house automation system - the 'Hometronic'. It was well ahead of its time and when its owner moved house it could simply be dismantled and installed on the new premises. 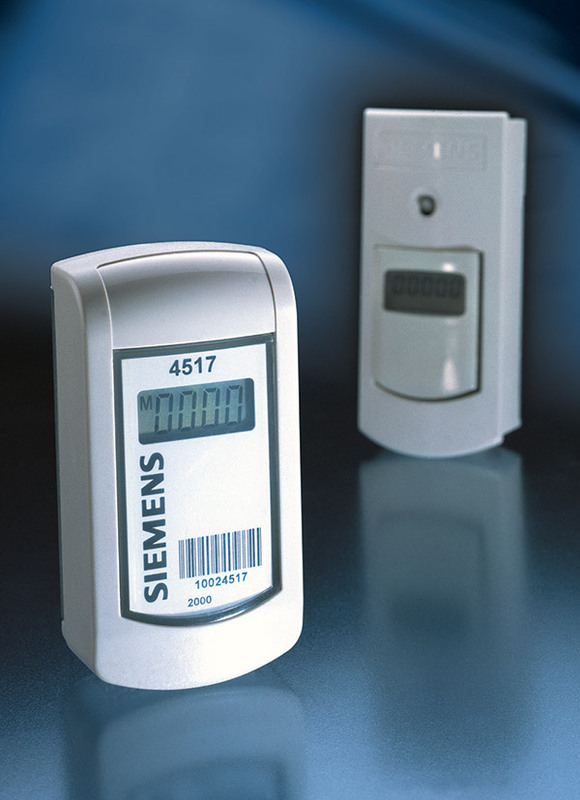 Under the umbrella of the SIEMENS Group, Landis & Staefa electronic made enormous technical progress in AMR technology. 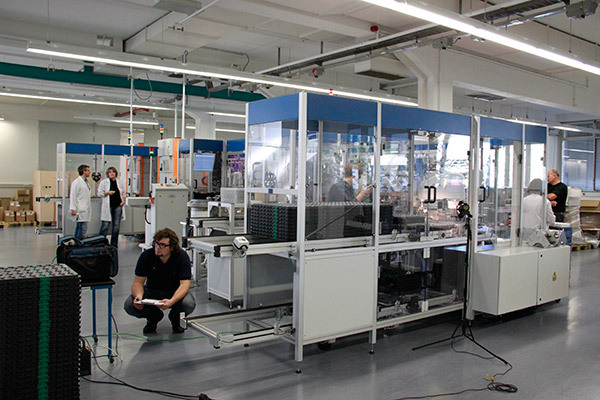 Mühlhausen and St. Georgen were in hot competition when it came to providing the best devices and solutions. 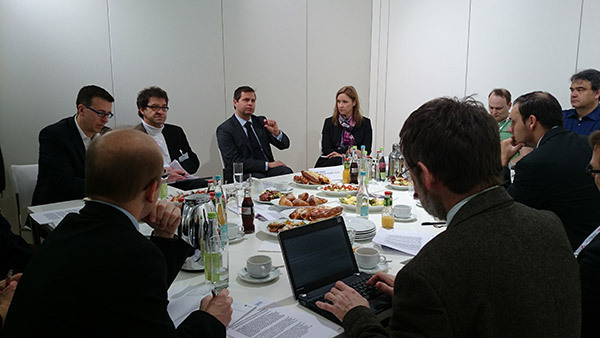 A highly positive development was that by 2005 SIEMENS in Mühlhausen had increased the workforce to 134 (+ 40 %). 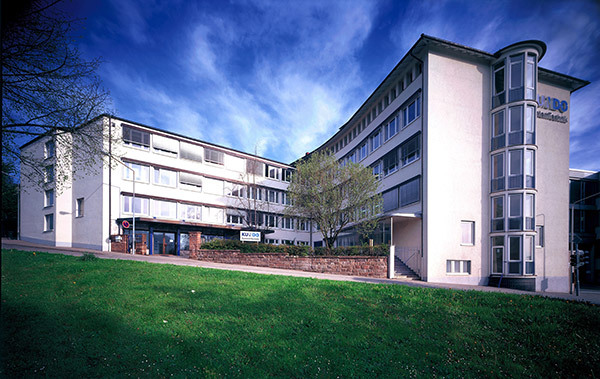 In St. Georgen the business operations of KUNDO SystemTechnik GmbH were placed under the newly formed family holding company of OTG Obergfell Technology Group AG in 2001. A new logistics centre and the new 'South' wing come into operation. 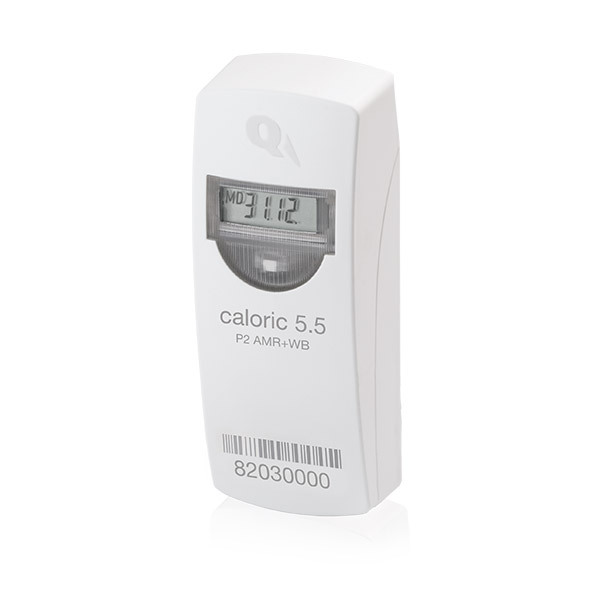 Launch of the first electronic heat cost allocator (2-sensor) HKVE 202 with real unit scale. The successful Siemeca AMR radio transmission system for remote meter reading with the new 868 MHz technology is launched. It is the first consumption recording system which applies the M-Bus standard EN 13757. In Zurich Werner Domschke receives the SIEMENS top+ Award for Innovation for the Siemeca AMR System on behalf of the six-person developer team. The market dominance of the full-service suppliers increasingly makes life difficult for the two mid-sized companies. The underdogs are confident of their technological leadership, but they want a bigger share of the cake. 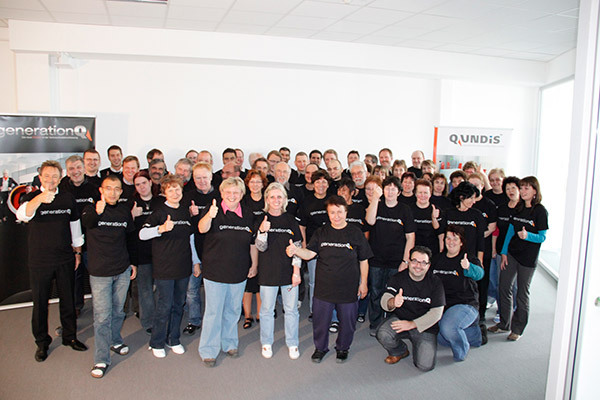 As a result competitors become friends, and on 14th March 2008 QVEDIS and KUNDO decide to merge – QUNDIS is born. 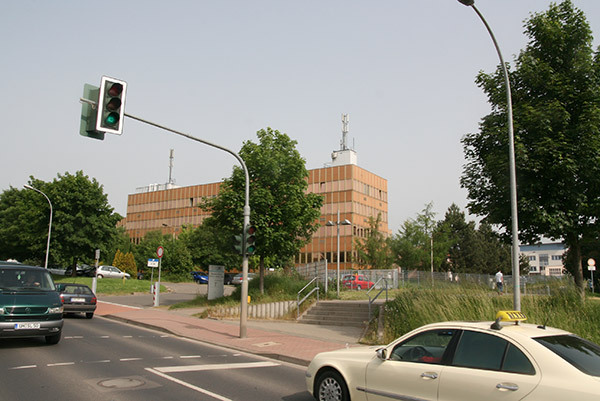 Before it merged in 2008 with KUNDO SystemTechnik, the Mühlhäusen plant of Siemens Building Technologies GmbH was acquired by Capcellence Mittelstandspartner GmbH. The reason for the sale was restructuring within the SIEMENS Group. 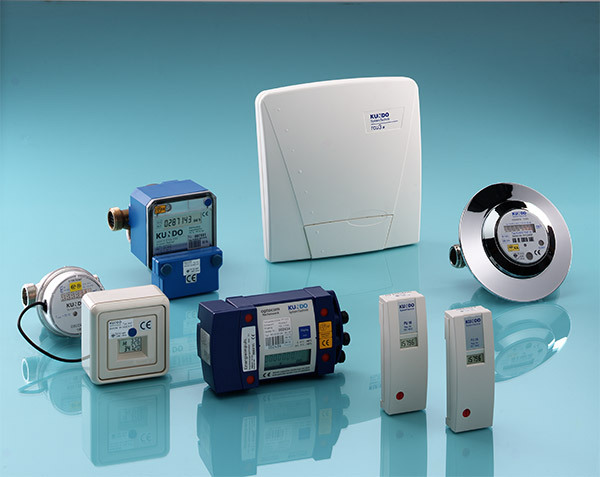 Establishment of the subsidiary SMARVIS GmbH: the company offers all systems for consumption data recording (communication technology and metering systems for water, heat, electricity and gas) from a single source, especially for housing companies and energy suppliers. HgCapital becomes the new owner of the company. 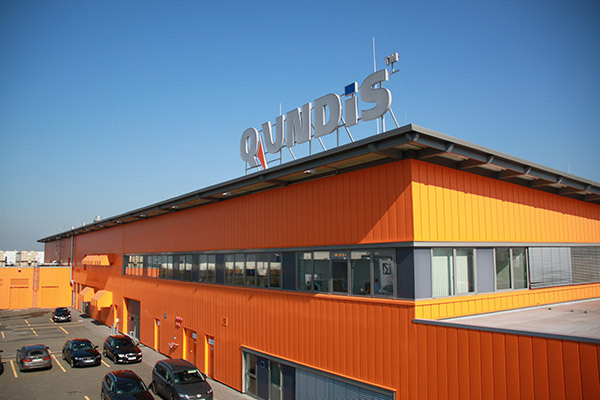 At this time QUNDIS has a turnover of € 60 million and a workforce of 250. 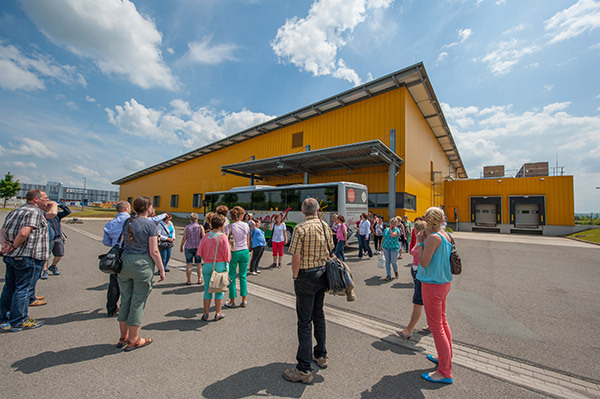 In the summer of 2013 QUNDIS merges its two locations of Mühlhausen and St. Georgen to form a new company HQ at the Thüringen goods distribution centre in Erfurt. The reason for the relocation is the necessity to combine all major divisions of the company on a single site. The members of the workforce say goodbye to their former places of work in Mühlhausen and St. Georgen with heavy hearts. Unfortunately not all personnel take part in the move to the new location, which means that gaps in the workforce have to be filled. Thanks to the support of the workforce and its customers QUNDIS is able to complete the move successfully in 2014, and the company is now able to drive forward its internationalisation with new dynamism. An interesting fact is that between 2012 and 2014 a total of seven managers are responsible for the company's fortunes. QUNDIS acquires Amplitec GmbH in Reinfeld, a company specialising in ultrasound heat meters. 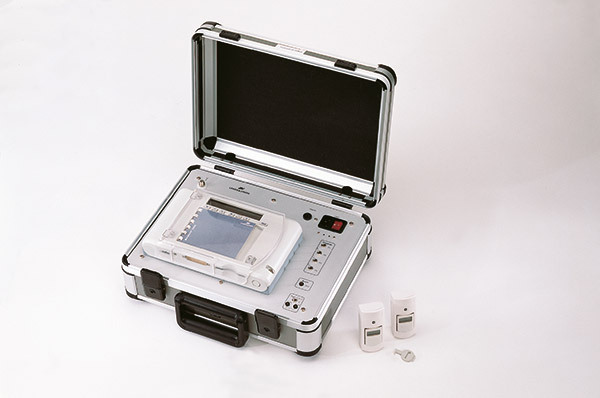 One year later QUNDIS launches the first ultrasound heat meter of its own on the market in the form of Q heat 5 US. 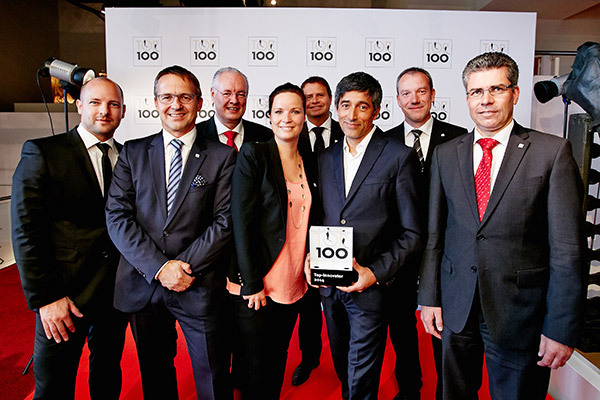 At the 'Summit of Germany's Mid-sized Companies' QUNDIS receives the 'Top Innovator' award. In third place among the TOP 100, the company is among the most innovative mid-sized companies in the state. Have you counted the number of times our present company has been renamed? In spite of this we have always remained true to our core skill of applying outstanding expertise to the development of pioneering solutions for recording the consumption of heat and water. Regardless of all the ups and downs we have pursued a constant course of development and have become a leading supplier in the industry. And you, dear customers, business partners and staff have played a major role in this. It is because of your confidence and trust in QUNDIS that we can celebrate our 25th birthday full of optimism for the future! Please enter the access data that you received from us by mail.